UK gamers will finally be able to buy Manhunt 2 for Playstation 2, PSP, and Wii on 31 October. Originally released in the US over a year ago, the game was refused a certificate by the British Board of Film Certification in June 2007. Following multiple appeals and changes to the game, it was granted a certificate in March. The goriest scenes were blurred out in the American version of the game but have been removed altogether in the UK. It's been a long time coming, maybe the BBFC think the hype around the game will of gone away. Either way, Rockstar get their wish and are able to release Manhunt 2 this coming Friday. Whilst some protest it must be seen as a victory for our freedoms, whether you 'like' the content or not. Manhunt 2 has always drawn alot of attention and has frequently been the political hot potatoe, rightfully so or not we'll find out soon, due to the nature of the release we'll be staying up late, throwing eggs at people, watching lots of horror films and reviewing Manhunt 2 this weekend. Can someone please tell me what you have to do in Manhunt 2? Wait for the review in a few days, it's basically a stealthy third person action game, not disimilar to things like Tenchu, just with a slightly darker story. 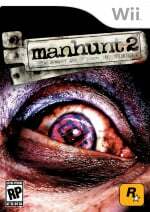 The sequel to the critically acclaimed, best-selling franchise, Manhunt 2 is a dark and disturbing psychological story revolving around the sinister events of a secretive research project called The Pickman Project. I'm not 100% sure on the story at the moment..
Also, this is old news. The advert's been on your 'site longer than this article. It may be old(ish), but its impending release makes it relevant.